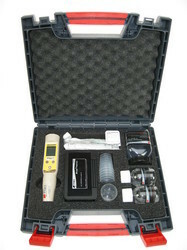 The Salt Test Kit is also known as chloride test kit or bresle test kit. Bresle test kit is needed to evaluate chlorides or/and soluble salt test on blasted steel surface before painting. The Salt Contamination Meter quickly and accurately measures the level of soluble salts on surfaces. We arwe mfg. 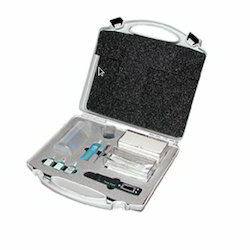 Salt Iosdine Test kit to determin the quality of salt Iodine percentage. This field test kit. - 1 colour Chart, showing 0 ppm, 7 ppm, below 15 ppm above 15 ppm.